Planning to go see Shakespeare's "Much Ado About Nothing" or a Lady Gaga Concert? Maybe you prefer going to see the Rodeo or your local Baseball team play? Either way, if you are a wheelchair user or are looking to purchase tickets for accessible seating you may find that things have changed. 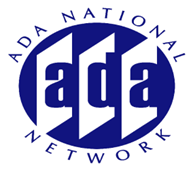 On September 15, 2010 the U.S. Department of Justice's 2010 Revised Regulations on the Americans with Disabilities Act (ADA) were published and they contain a whole new section on ticketing with new obligations and responsibilities for ticket-selling venues and vendors. As a ticket buyer with a disability you will want to know how these regulations may affect you. This session is going to focus on the obligation to identify accessible seating, purchasing tickets using the same options as everyone else, purchasing companion seats, transferring tickets, and distribution and pricing of wheelchair accessible locations. This session will review the ticketing regulations with particular emphasis on what ticket-buyers with disabilities need to know. There will be plenty of time for Q&A so come prepared with your questions!